Liz's Paper Loft: MCT September Release Sneak Peek Day 2 ~ just for you! MCT September Release Sneak Peek Day 2 ~ just for you! Hello paper peeps, today is day 2 of My Creative Time's September Release and I've got a few projects to share with you! We are showcasing the Cute Gift Tag Die, Cute Stocking Tag Die, Cute Santa Hat Tag Die, and Mini Christmas Greetings stamp set. The Mini Christmas Greetings just happens to be this month's "freebie" set and coordinates perfectly with all the these new tag dies. These tag dies can be used by themselves as a tag, attached to a card, or by cutting the image off the tag portion and adding to a card (see the birthday card). OMG Miss Liz WOWIE WOW!! Loving all of the different clever and creative ways you've used today's Sneaky Peek! You truly came up with brilliant and ingenious ways to use these tags....loving all of your embellishing ideas and the fact you even came up with a Vintage look...you truly showcased today's sneaky Peek Magnificently!! YOU so ROCK!! ps> Your pics are perfectly fine!! Wonderful job on your cards and tags! I love how you did the background and decorated the birthday card. Very clever and pretty! These tags are fabulous! Beautiful and creative ways to use these adorable dies! Absolutely love the card with the climbing gift boxes. Love your creative take on the new die and stamp sets! 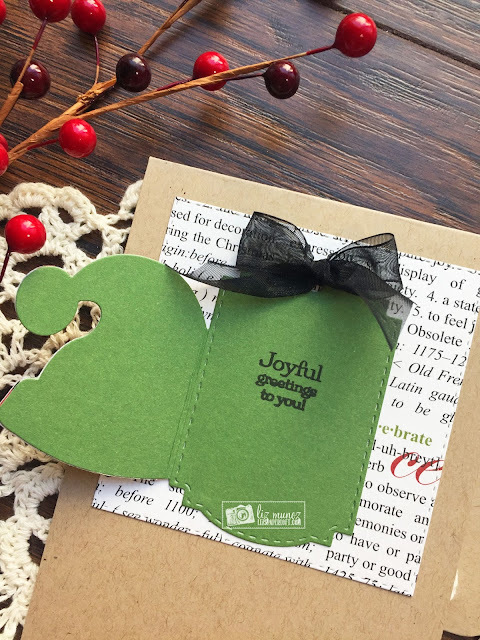 Your card with the packages is so bright and cheerful! Love how you designed your background! The Christmas card and tag are delightful as well! Darling tag and card! 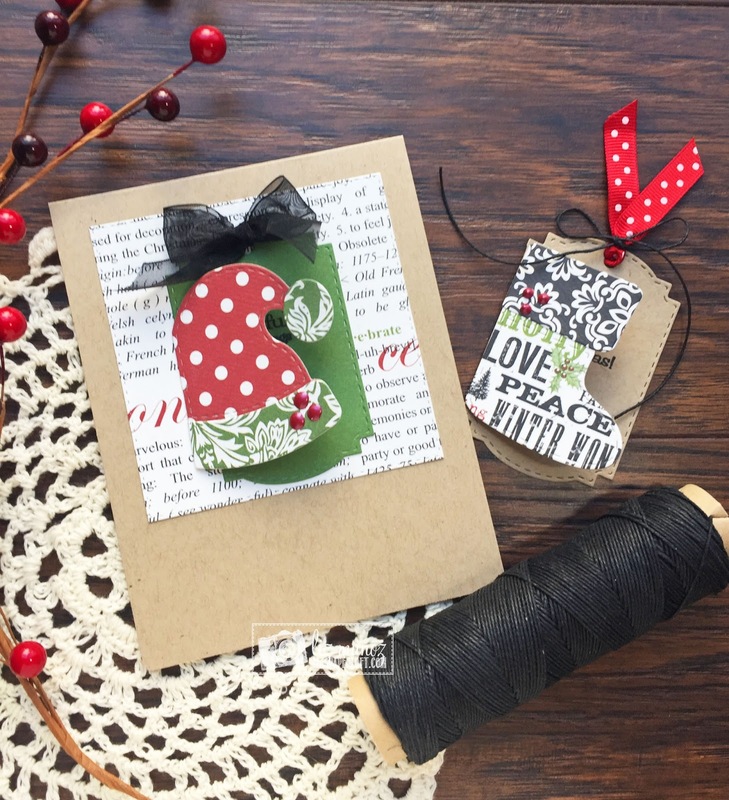 Love the Mini Christmas Greetings stamp set and the fun tag dies! Awesome paper choices on your cute card! I really like your card with the three gift boxes. What a great way to use the dies. I love your present card! I also love how you have made it so it can be used for almost any holiday. 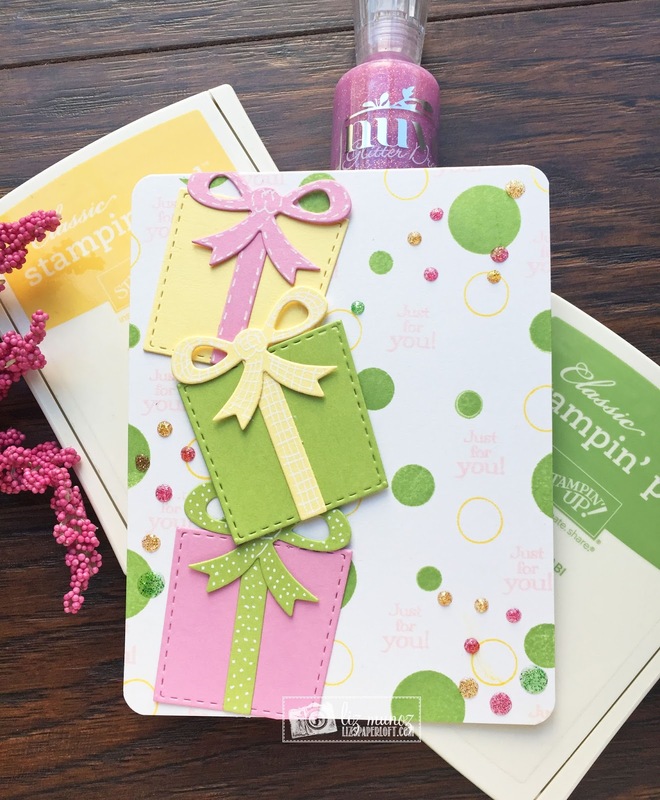 Love the pastels in your gift box card! So cute. OMG!! I LOVE your cards!! The colors and layout on both are magnificent! Especially love the first one as it has such a fun background and multiple packages! Wonderful - love the cascading presents.